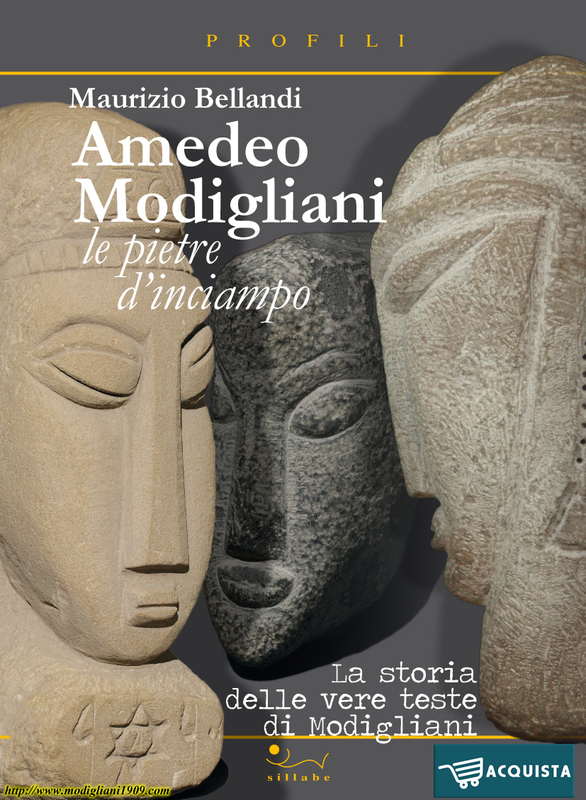 Finally, we can read the story of Piero Carboni, the car-body mechanic from Livorno who, in 1943, found and rescued three heads Modigliani had carved in Livorno in 1909. 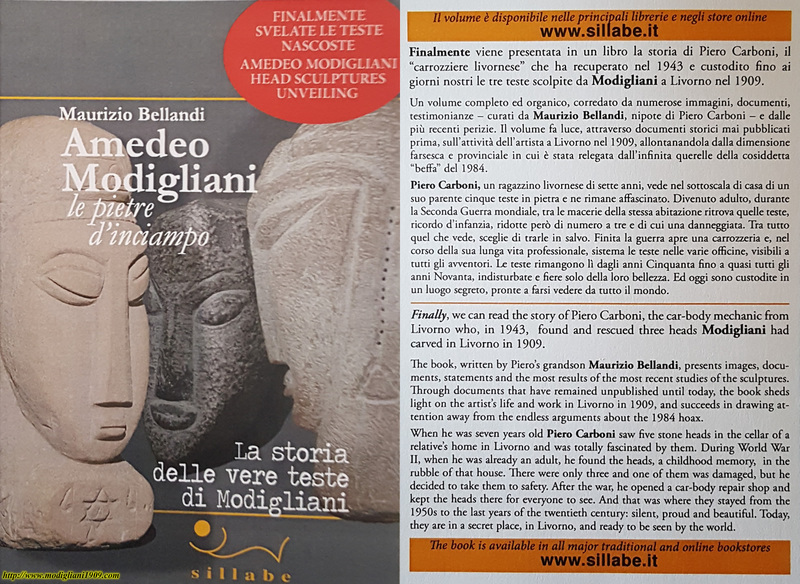 The book, written by Piero's grandson Maurizio Bellandi, presents images, documents, statements and the most results of the most recent studies of the sculptures. Through documents that have remained unpublished until today, the book sheds light on the artist's life and work in Livorno in 1909, and succeeds in drawing attention away from the endless arguments about the 1984 hoax. When he was seven years old Piero Carboni saw five stone heads in the cellar of a relative's home in Livorno and was totally fascinated by them. During World War II, when he was already an adult, he found the heads, a childhood memory, in the rubble of that house. There were only three and one of them was damaged, but he decided to take them to safety. After the war, he opened a car-body repair shop and kept the heads there for everyone to see. And that was where they stayed from the 1950s to the last years of the twentieth century silent, proud and beautiful. 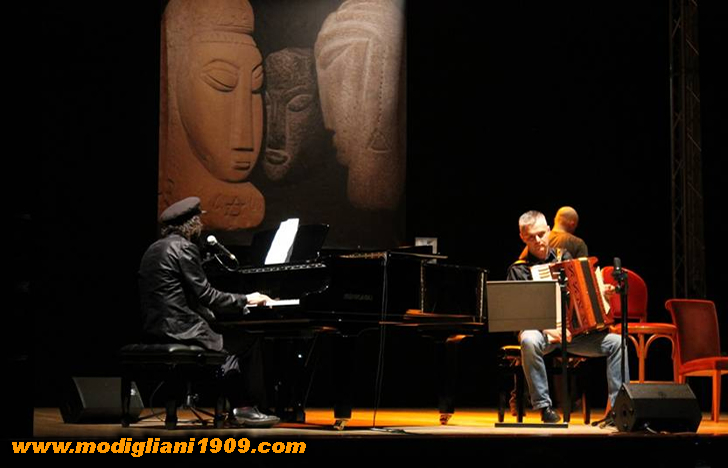 Today, they are in a secret place, in Livorno, and ready to be seen by the world.